This Code of Conduct defines the basic requirements concerning our responsibilities towards our stakeholders and the environment. • to comply with the laws of the applicable legal system(s). • to tolerate no form of and not to engage in any form of corruption or bribery, including any payment or other form of benefit. • to comply with the maximum number of working hours laid down in the applicable laws. • to employ no workers under the age of 15. • to provide training and ensure that employees are educated in health and safety issues. • to minimize environmental pollution and consumption of resources and make continuous improvements in environmental protection. • to comply with the principles of non discrimination with regard to supplier selection and treatment. Since February 14th 2011 the SKYLOTEC ERP system offers an especially installed module called „compliance book“. This gives an allover verification, that in case of an attribution from or to a contact, it has been done in the boundaries of a socially adequate frame and not in order to influence a decision in an illegal or immoral way. EVERY kind of attribution from or to a contact which exceeds 10 € of worth will be taken down in the compliance book. Once the entry is confirmed, it will be booked in the accounting system of a closed database and cannot be changed or erased. 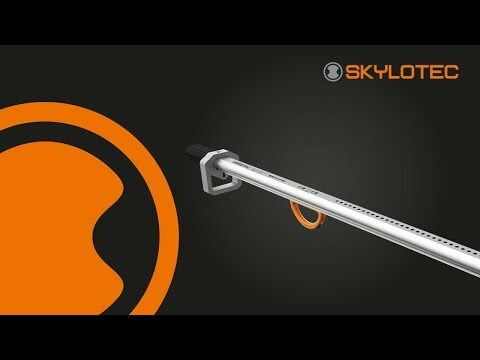 SKYLOTEC provides every client or entitled interested third party (e.g. inquiry authorities) reports with entries to designated people or companies upon request.